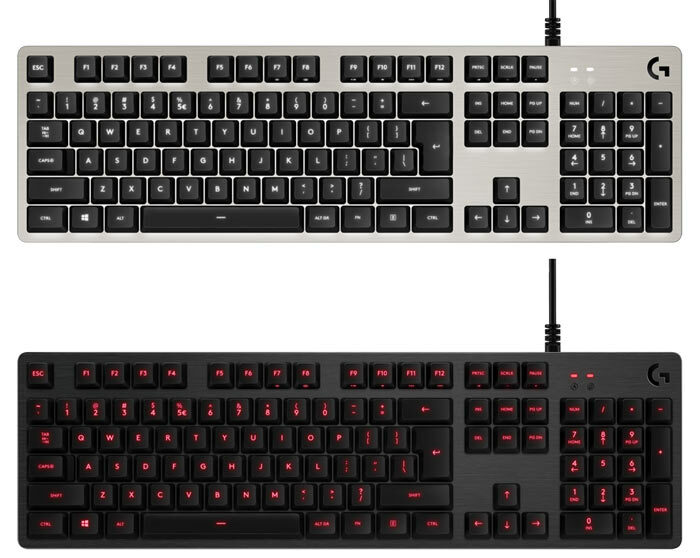 Logitech today launched an affordable new mechanical gaming keyboard. Two versions of the Logitech G413 Mechanical Gaming Keyboard are available; the Logitech G413 Carbon featuring red LED backlighting, and the Logitech G413 Silver featuring white LED backlighting. Whichever version of this £99 / $89 keyboard you choose you will benefit from Logitech's exclusive Romer-G mechanical switches, a brushed anodized aircraft-grade aluminium top case, and a USB pass-through port. 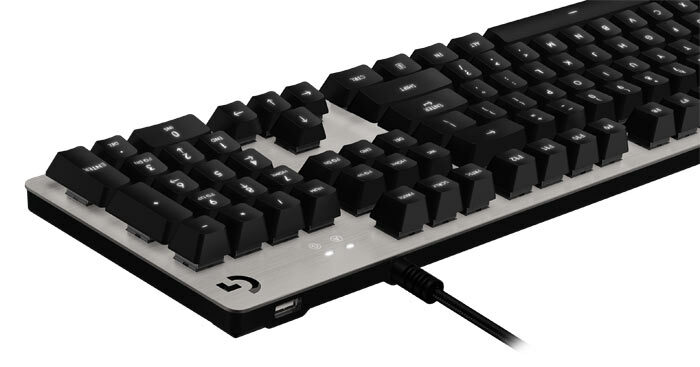 Sometimes Logitech equips the popular Cherry MX mechanical keyswitches but in the case of the Logitech G413 Mechanical Gaming Keyboard it has stuck to its guns, employing the in-house Romer-G mechanical switches. These might be less well known among PC enthusiasts but Logitech claims they offer 25 percent faster actuation than 'standard' mechanical keys, a short-throw actuation point of 1.5 mm, greater durability, and are designed for clean and precise backlight illumination. Logitech has specified a "5052 aluminium-magnesium alloy top case" for the G413. It says that this "serves as the keyboard's backbone." However, it is traditional to create keyboard rigidity via a metal backplate, and Logitech doesn't mention this aspect of the keyboard's construction. Other attractive features of the Logitech G413 Mechanical Gaming Keyboard design include a USB 2 passthrough port which can be used for your mouse, for example. For PC connection the keyboard has a captive 6ft cable. In Logitech's minimal design the function keys double up for media controls (a function key toggle is used to facilitate this). Logitech neatly illuminates the dual functions with symbol cutouts on the front face of the keycaps. As a gaming keyboard the G413 offers a Windows key deadening 'Game Mode', plus 26-Key Rollover, and Anti-Ghosting. Last but not least you can use Logitech Gaming Software (LGS) for tuning your lighting preferences and creating custom functions and macro commands to be triggered by the F-Key row. In an email to HEXUS, Logitech said that the G413 Carbon / Silver is available worldwide this month with a suggested retail price of £99 / $89. It's a keyboard, that looks just like every other regular keyboard and has nothing to set it apart from them…? What a stunning revelation. I'll stick with my old G19. I think they prob just got the dollar and pound prices wrong way around.